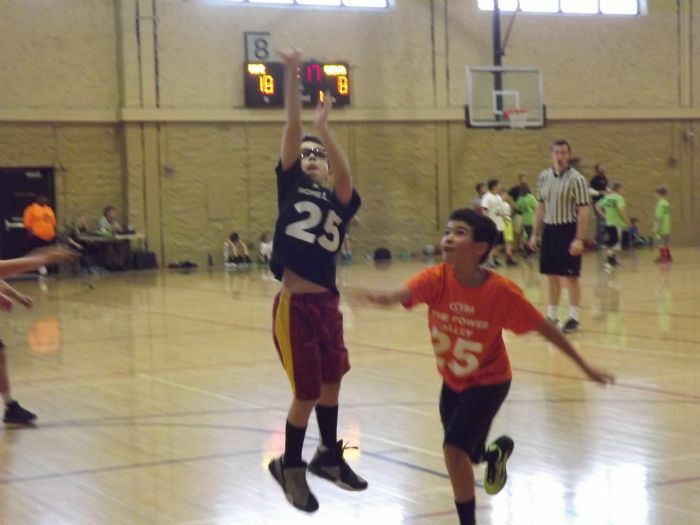 CYBA is entering its 26th season as Columbia’s’ Premier Recreational Basketball League. 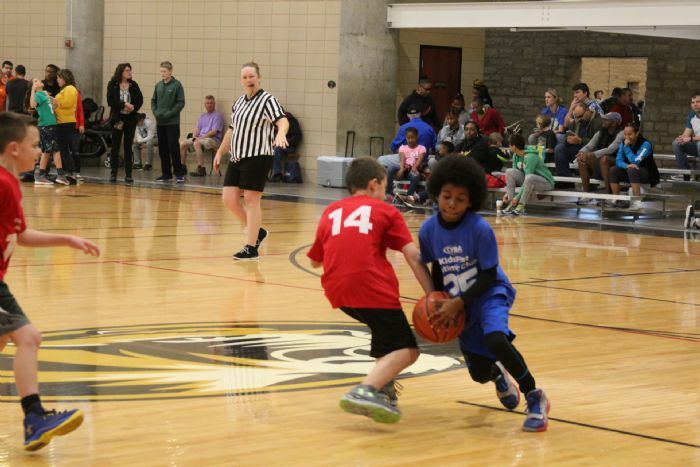 CYBA provides a safe and fun environment for young people to improve their basketball skills, while putting an emphasis on Sportsmanship, Honesty, and Integrity. We are looking forward to a great 2018/2019 season! 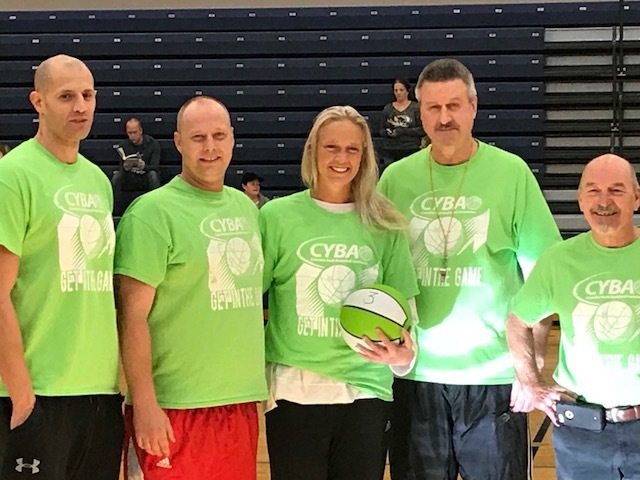 The 2019 CYBA Summer Camp for boys and girls entering the 4th-6th grade will be held in July. Please check the site for more information as we organize the event. SATURDAY JANUARY 26TH IS SPORTSMANSHIP SATURDAY! Every year our players grades 1-5 receive a trophy. This is NOT a participation trophy! This is a symbol for our young players to remember what it is to demonstrate good sportsmanship with their peers, coaches and referrees. Matt Twenter tragically passed away at a young age. 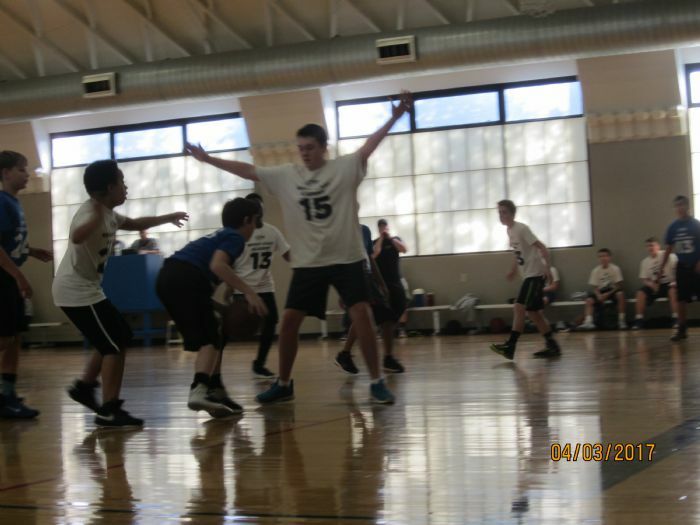 He will always be remembered as having a smile on his face, respecting his coaches, teammates and referrees and generally loved to play all sports. CYBA League Member Information-PARENTS/GUARDIANS: If you already have an account you do not need to create a new one. All scholarship applicants must email or call 573-875-8124 for the information on our partial scholarship application. Sophie Cunnigham-honorary camper-visits the skills clinic. Thanks Sophie! Team Sponsors!! CHECK OUT OUR AWESOME SPONSORS AND THEIR SERVICES! They care about Columbia's youth. 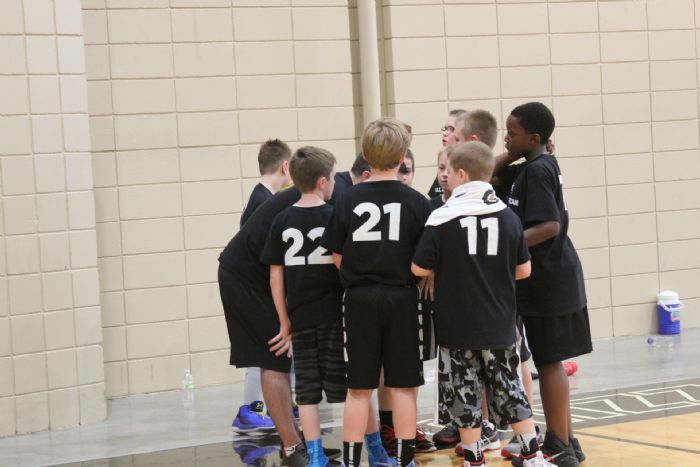 Each and every one of our over 100 teams is sponsored by a local business or organization! Would your company like to sponsor a team(s) for the upcoming season? Recognition on our website with a direct link to your site, company name on team shirts, your company featured on your teams page, recognition on all printed materials and a team picture plaque for your business! Your support also assists players in need of scholarships. We cannot do this without the support from the community. Teams are formed the end of November. Games begin January 5th 2018 with a meet and greet at the Pre-season Jamboree on December 15th. Teams for 3rd -8th grade will be formed on October 22nd. Coaches will contact players after October 27th. Practices begin mid November ******CYBA is combining the 8th grade girls with the high school division due to low registration. Girls divisions will be 3/4G and 5-6-7G this season. 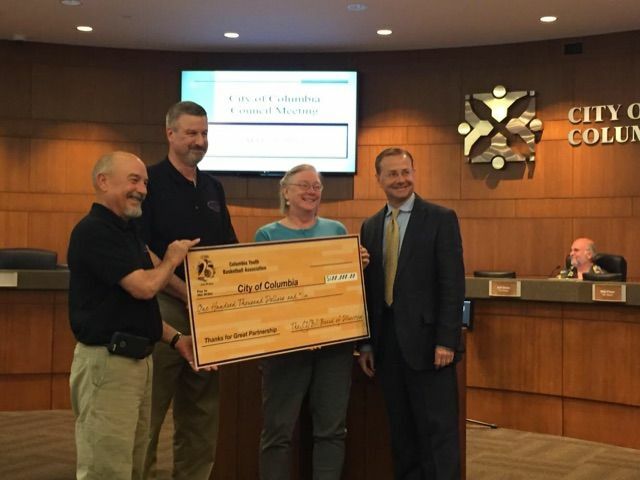 CYBA IS PROUD TO ANNOUNCE THEIR DONATION TO THE CITY OF COLUMBIA AND PARKS AND RECREATION A CHECK FOR $100,000. THIS WILL HELP FUND THE GANS CREEK RECREATION COMPLEX TO BUILD A YOUTH BASKETBALL FACILITY.